Snapchat is the social medium among young people and young adults until 34 years old. With 188 million daily snapchatters worldwide, this platform is one of the largest. Due to the impact and the scope of this app, advertising with Snapchat is very attractive. This wasn’t always the case as in the past Facebook and Instagram were preferred. This is gradually changing now because of the clear growth. Besides the fact that Snapchat now largely offers the same possibilities as the established social media in the field of targeting, it is also possible to reach the target group via Snap-Ads, filters, lenses and augmented reality. The numbers do not lie; an active Snapchatter opens the application about 25 times a day and spends an average of 30 minutes using the app. 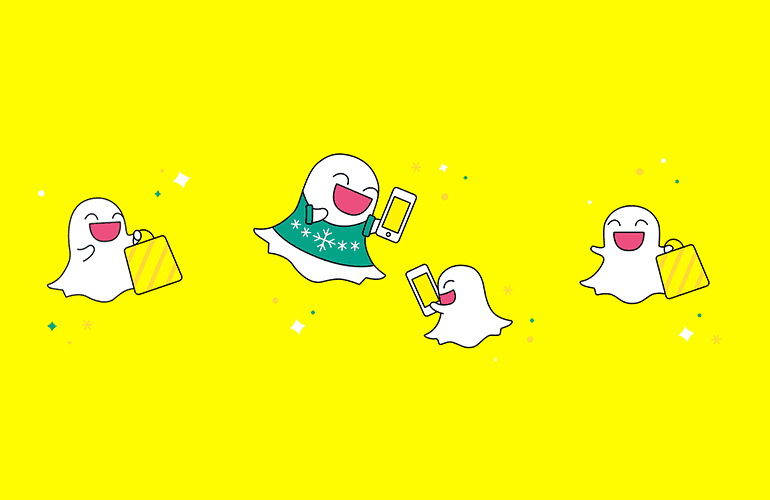 The last couple of years Snapchat has been making lots of progress and is competing now with the largest social platforms at the highest level within the world of online advertising. In addition to developing the Ad Pixel, the platform has introduced two more features. These new features make Snapchat even more attractive for advertising. The first new feature is ‘Snapchat Shopping Ads’, meaning shopping on Snapchat. With this feature a series of products can be displayed that users can click on to get more information. This ensures a direct referral to the online store. During the first tests, eBay saw a 5 times higher engagement with the new Shopping Collections Ads compared to standard Snap Ads with the same products. How does this work exactly? With the new ‘Shopping Ad’ function users can point their smart phone camera at a barcode or a physical product. When the software recognizes the article, a pop-up screen shows up. That pop up reveals the link to the product or a similar product to an online store. The product can be bought directly via the browser or application. In addition, another new feature has been developed; the ‘Product Catalog’. Advertisers can upload their existing product feeds and use them to scale and automate ads for Snapchat campaigns. Product feeds contain all relevant product information such as image, price, color, and so on. This ‘item library’ can be used to automatically make a number of product ads. Think of Story Ads, Snap Ads, and the new Collection Ads via new templates in the Snapchat Ads Manager. The latest update, and not entirely unimportant, is the update ‘Snap Pixel’! This is an improved Pixel Targeting, with which advertisers can create customized target groups. Advertisers can now create audiences based on more specific actions that visitors take on their website, for example, when they view certain product categories. These actions are determined by the Pixel and forwards that information to the Snapchat Ads Manager. Where other social media platforms focus on consuming content, Snapchat focuses on making content itself (camera advertising). This makes the platform unique in the current social media landscape. With 10,000 filters, augmented reality and the latest shopping ads, Snapchat currently is the most innovative advertising platform with its continuous developments. In other words, if the young generation is in your target group, advertising with Snapchat is an ideal option.